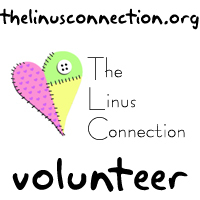 We would like to encourage you to drop off all your Linus blankets at our monthly meeting. If you plan to bring a large donation to a meeting, please contact Marge. 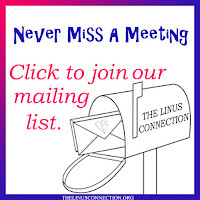 We meet the 3rd Saturday of every month, 9 - 11 am @ St. Philip's United Methodist Church, 16321 Great Oaks Dr., Round Rock, Texas. If you are not able to attend, the following is a list of drop off locations. 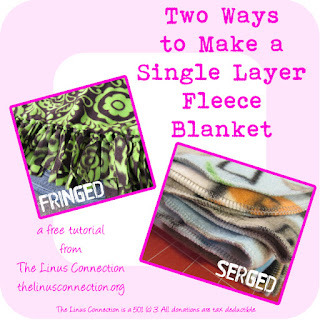 Please make sure your name is included with your donation and let us know if you need a receipt. 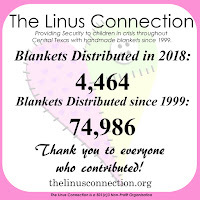 When dropping off at a store location, please put your blankets in a bag clearly marked "For The Linus Connection" on the outside of the bag or box. Otherwise, your donation may not make it to us. 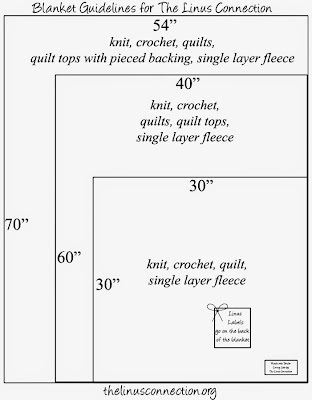 Stores can provide you with a receipt upon request, but if for some reason, you do not receive one, please contact us. 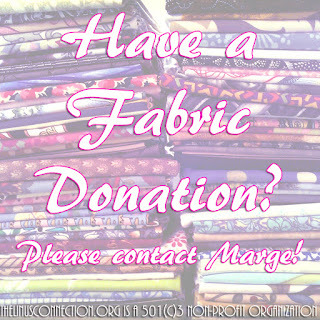 If you have a fabric donation and don't wish to drop off at a store location, please contact Marge to make arrangements. Thanks!